Logo of the South American Mycorrhizal Research Network. 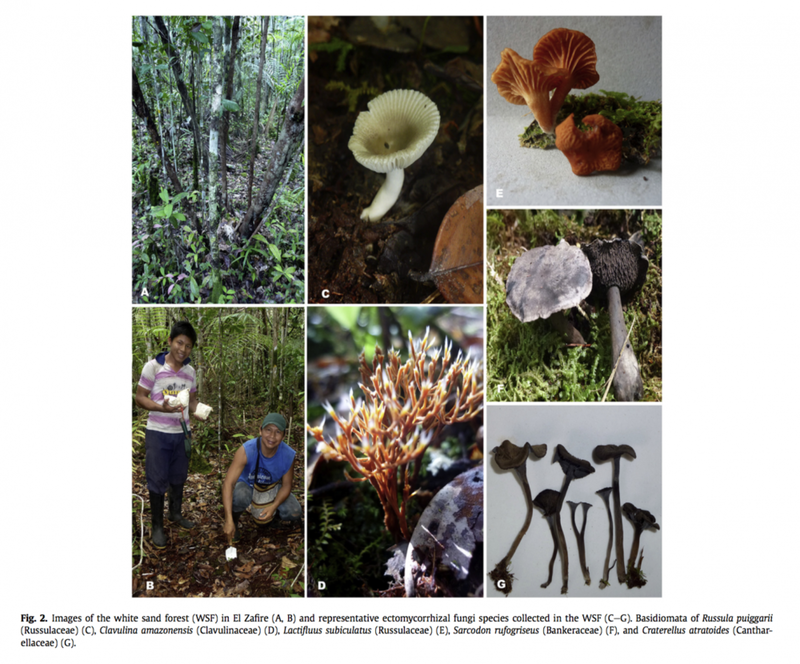 Part 1 of our collaboration with the South American Mycorrhizal Network, please read Part 2 here. Three years ago, I was desperately looking for someone to help me out with the metagenomic/bioinformatics part of my PhD thesis. For my thesis, I wanted to understand how different geological, edaphic, and biogeochemical factors together with eco-evolutionary aspects of soil fungi, mainly mycorrhizae, affect the process of biogenic weathering. Some 20 years ago it was discovered that besides from physical and chemical forces, the soil biota is also degrading the Earth bedrock, process termed biogenic weathering. The main actors in this process are mycorrhizal fungi, rock ‘eating’ fungi. I had sampled pristine temperate rainforests here in Patagonia where I live to test this process, and the edaphic and geological support of German colleagues, but at the moment I was lost in understanding the complex patterns of soil fungal diversity. Then, the name of Maarja Öpik was suggested by a friend. Long story short, I spent the last months of 2015 in the tiny and cold Estonia, learning a lot about soil fungi community analysis, their interactions, complexity, functions, and much more. My mind was full of ideas! One of these ideas was to bring Maarja to my city, so few months later, she was in Valdivia, Chile, giving a course titled “Molecular Community Ecology of Arbuscular Mycorrhizal Fungi (AMF)”. When organizing this with my supervisor, Roberto Godoy, I had no faith in the course. I was very skeptical about the success of such a specific course. Fortunately, I was very wrong: the course was very successful! It was so successful that among the participants the idea of organizing something else, something bigger, something that would bring together local mycorrhizal researchers, was in the air. 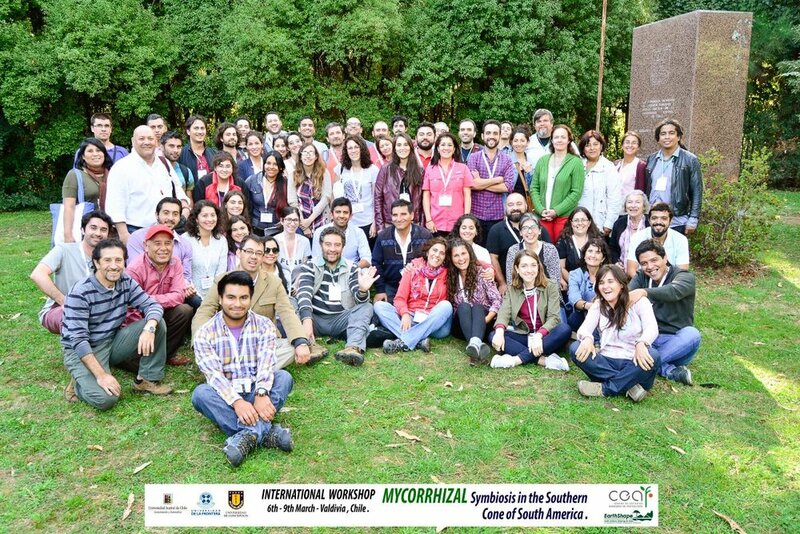 That something else was the Mycorrhizal Symbiosis in the Southern Cone of South America workshop, which was organized from scratch (asking for funding everywhere), just between four people and in a period of six months. This meeting, in March 2017, in Valdivia, Chile, constituted the first South American meeting of mycorrhizal researchers. The meeting had 7 keynote speakers, more than 40 presentations (oral and posters), and more than 70 participants from 8 countries and 26 institutions. We even had an special issue in the Journal of Soil Science and Plant Nutrition, containing the results presented at the meeting. Participants of the Mycorrhizal Symbiosis in the Southern Cone of South America workshop, in Valdivia, Chile, March 2017. Our next meeting will be hosted in Bariloche, Argentina, in March 2019. At the end of the meeting, and by public suggestion, the South American Mycorrhizal Research Network was born. A year later, our Network currently has 135 Members from 25 countries. Just in one year, by our collective effort we have proudly accomplished several things. Our Network was presented at the 9th International Conference on Mycorrhiza in August, 2017, in Prague, at the Argentinian Mycology Meeting in September 2017, in Mendoza, and we organized our own symposium at the IX Latin American Mycology Congress in Lima, also in August of 2017. A New Phytologist meeting report regarding our meeting and Network was published on last year. The future also looks quite exciting: we will hopefully be playing some roles in the next International Mycological Meeting this year in Puerto Rico, in the next International Conference on Mycorrhiza on Mexico in 2019, and on the next Latin American Mycology Congress in Chile in 2020. But most importantly, we are already organizing the II International Symposium of the Mycorrhizal Symbiosis in South America, in Bariloche, Argentina, from March 6 to 8, 2019. We are currently writing a book on South American mycorrhizal research for Springer, with authors from all over the subcontinent and basic and applied approaches. But besides all these accomplishments, the most satisfactory thing has been, precisely, the Networking among our Members. Because of our Network, researchers from Chile are collaborating with colleagues from Ecuador and Peru, our researchers from Uruguay, Argentina and Chile gave courses and seminars in Brazil. Students have contacted thesis supervisors or laboratories to do research stays. Companies using mycorrhizal inoculum as agricultural supplement have contacted business partners within academy. All this has been possible because of the horizontal nature of our Network, where undergraduate students have the same access and connecting opportunities than world-renowned mycorrhizal researchers that are also part of our Network. Like mycorrhizal hyphae, we hope to continue cooperating, networking, and collaborating to increase the understanding of the mycorrhizal symbiosis in South America. As we state as our view: “being a network, and furthermore an horizontal scientific community, means that we evade hierarchies as much as possible. Also, we highly encourage labour sharing within our network”.